The Surrey Hills Neighbourhood Centre is a foodbank for the Asylum Seekers Centres Resource Centre. 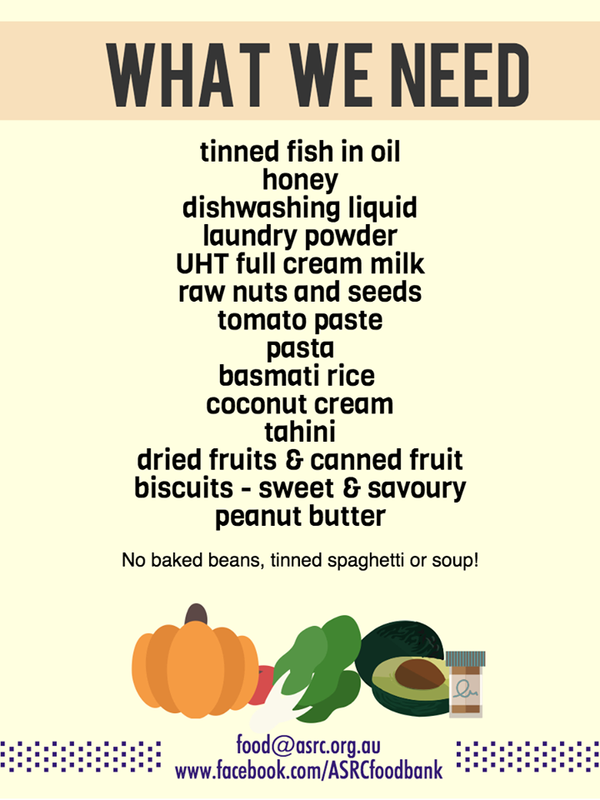 We take donations of food and drive them to the ASRC in Footscray. We would love to hear from you if you would like to help us deliver the food once a month. Sign up for our community updates.